Jeff Medolla thought he had struck upon a great idea when he decided to wear a mask during his initial time on Ashley Hebert's edition of The Bachelorette. Tim McCormack's time on The Bachelorette came to an end even quicker than the show's usual minimum stay. The Bachelorette star Ashley Hebert eliminated her first seven suitors during Monday night's premiere broadcast of the ABC reality dating series. 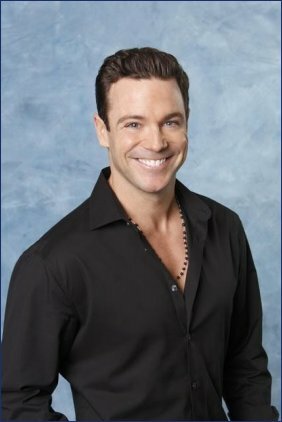 ABC has revealed the identities of the 25 bachelors competing for Ashley Hebert's heart on The Bachelorette's seventh season, which will premiere Monday, May 23 at 9PM ET/PT.